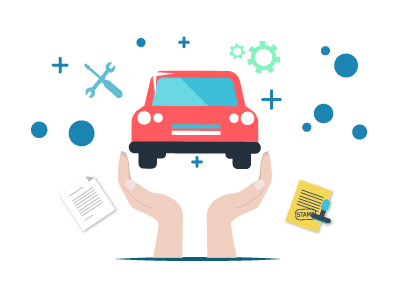 Having a car insurance in India is mandatory for several reasons such as the rising traffic, people driving fast and rashly leading to accidents, etc. As per the Motor Vehicles Act, the government has made it mandatory for all car owners in India to insure his/her car with a third-party liability cover at least. Car insurance plans are of two kinds, comprehensive cover and third-party liability cover. Comprehensive car insurance plan covers third-party liability as well as own damage liabilities while third-party liability insurance plan covers third-party liabilities alone that are incurred at the time of mishap. Prospective car insurance policyholders sometimes get cheated by frauds posing as insurance agents who sell them fake insurance policies. Hence, it is important that the prospective policyholders ensure that the insurers and insurance agents they meet are legitimate and hold valid licence. What is a fake insurance policy? Fake insurance policies are policies that are sold by unauthorised insurers or non-licensed agents who pose as legitimate insurance bodies. These fake insurance bodies cheat people with the sole purpose of making money without offering any coverage. The policy offered by such fraudulent firms and agents are fake and not valid. There are a number of people buy these fake insurance policies and get cheated out of their money. Hence, it is vital that the policyholders do a lot of research before going ahead and buying fake insurance policies. Proper research will ensure that the policyholder is not cheated and he/she avails a car insurance policy that meets all the insurance requirements. Owning a fake insurance policy at the time of an accident or a theft can give you a great deal of financial stress especially if you are liable to pay for third-party damages or injuries. Make sure that you get in touch with the insurer directly and get a confirmation on the details of the insurance firm or insurance agent. This is one way to cross-check the details provided online or any place else regarding the insurer or insurance agent and confirm the legitimacy of the insurance parties. Make sure you ask for receipt when you purchase an insurance policy. Collect the receipt and keep it safe, you can later produce this as a proof in court if your insurance policy turns out to be fake. You can file a legal case against the people involved in the scam and submit the receipt as a proof. The Insurance Regulatory and Development Authority (IRDA) has made it mandatory for every insurer to issue every car insurance policy document with a QR code starting from December 2015. You can use the QR code to determine the authenticity of the insurer or the insurance agent who provides you with a car insurance policy. You have to scan the QR code present on the policy document with a QR code reading app installed in your smartphone. As soon as the app completes scanning the QR code, the details of your insurance policy will be displayed on a new webpage. Ensure that you read every line present in your car insurance policy document before signing it and making the payment. Take plenty of time reading the policy document to ensure that everything written on the document is as per what you agreed with the insurer. Check for deductibles, No Claim bonuses, IDV, etc. in the document and confirm if they are as agreed by you. Remember to purchase the car insurance plan directly from the insurer. This will ensure that you purchase a legitimate insurance policy and not get scammed by fake insurance agents or middlemen. Make sure to choose a highly reputable insurance company when buying a car insurance. Pay for the insurance policy by cheque or net banking or credit card or debit card so that you have proof to submit if anything goes wrong and you have to file a case against them.